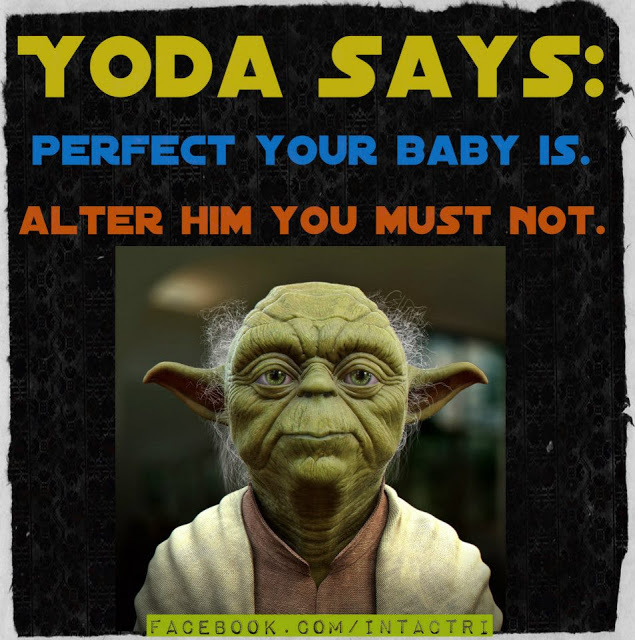 peaceful parenting: May the Foreskin Be With You! Star Wars - Intact Style! 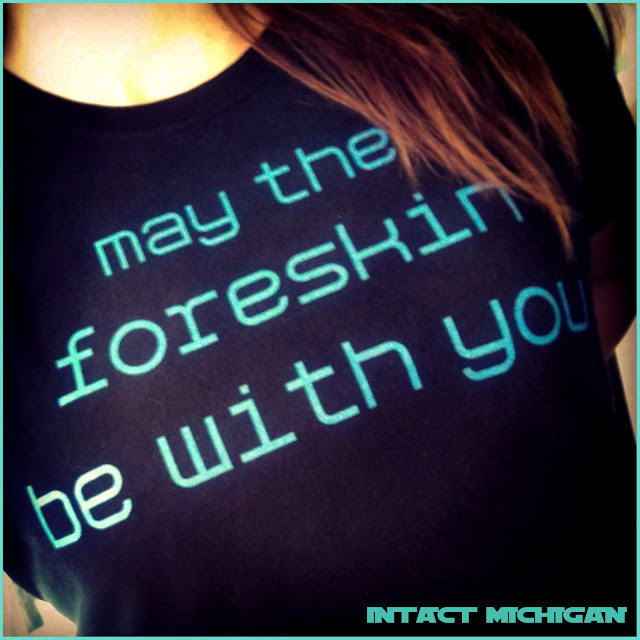 May the Foreskin Be With You! Star Wars - Intact Style! I have to admit, I have never actually watched an entire Star Wars movie, but my husband is an avid Star Wars fan, so naturally our kids are too. Over the past few years of making Star Wars Halloween costumes and planning Star Wars birthday parties, I've grown familiar with the characters and become a little more into it than I ever would have expected. I find some of the characters cute - (have you seen an ewok? Adorable!) - and I become a little excited when I see a Yoda shirt or R2-D2 lunchbox in the store. 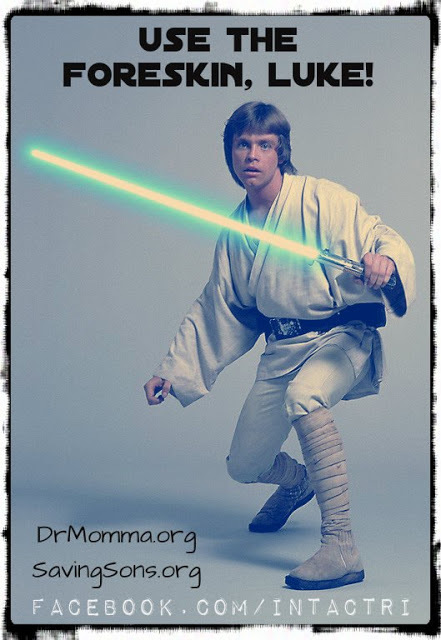 My son was born on Star Wars Weekend (an event I only know because of my husband: "May the 4th be with you!" and "Revenge of the 5th"). 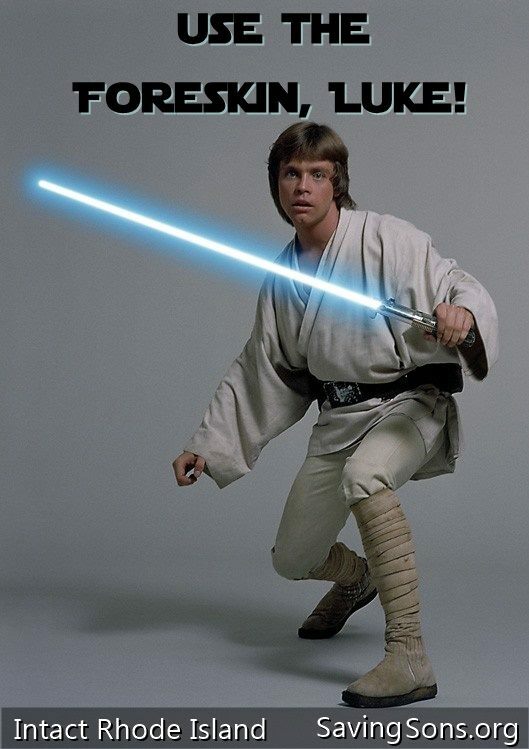 So in honor of my son's birthday, I decided to create a fun, pro-intact meme that fit with the Star Wars theme to share on Facebook. 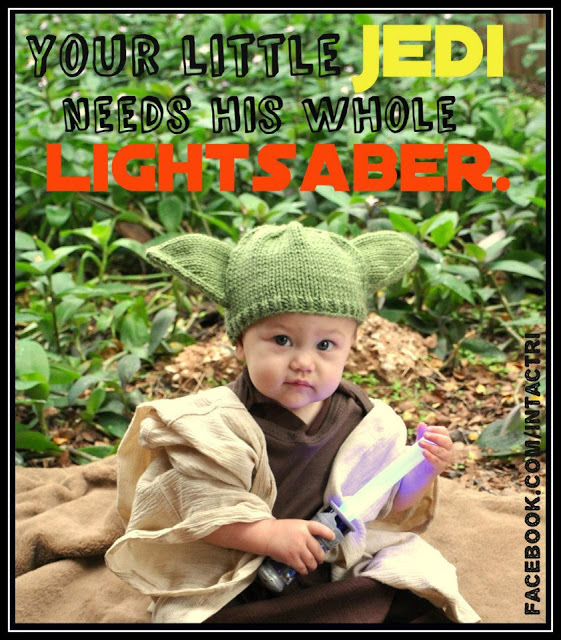 My original idea was, "Your little Jedi needs his whole lightsaber" ...and then several other ideas started to surface. Soon, I was cracking myself up with witty slogans - I may not be a true Star Wars fan, but I'm clearly a true nerd! 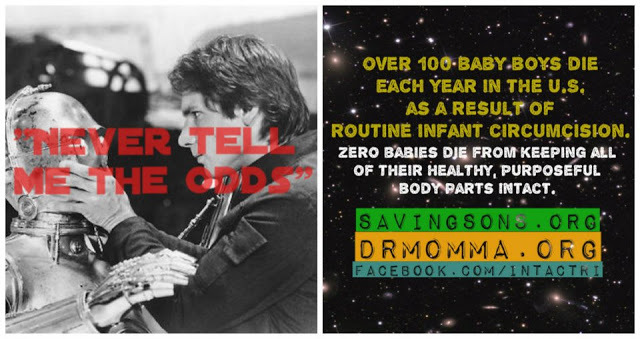 Once I had a handful of graphics created, I could not choose just one for my son's birthday, so I declared the entire week leading up to May the 4th "Intact Rhode Island's Star Wars WEEK." It has been so much fun seeing the response these graphics (and the accompanying informative links) have received. 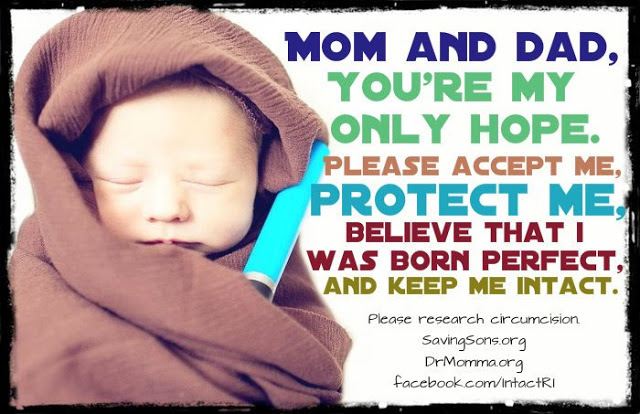 Over the course of the past week they have reached tens of thousands of individuals on Facebook and Pinterest, and have been shared by hundreds. 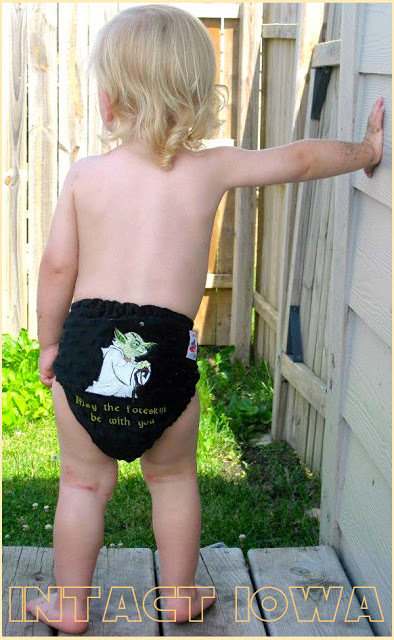 Clearly, there are a lot of Star Wars fans out there, and many of them support leaving babies intact! 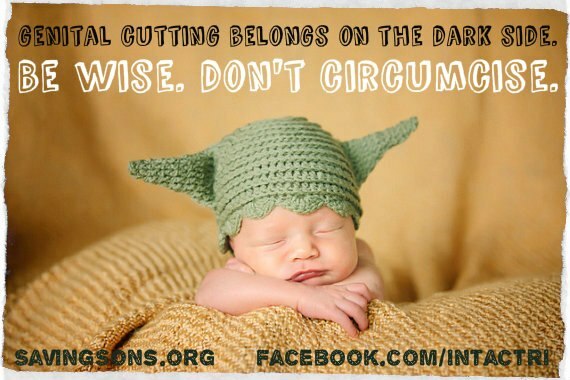 I think it's awesome that so many people, who may not otherwise be interested in learning about the benefits of remaining intact and the detriments of circumcision, will be intrigued by fun Star Wars images popping up in their newsfeed and will discover some important information in the process. 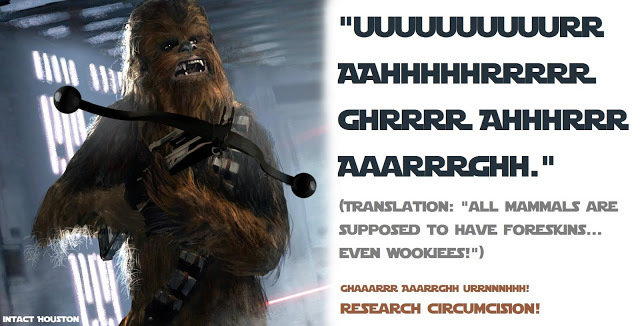 Learn more from Erin and her Star Wars Fun Family at Intact Rhode Island. "May the FORESKIN be with you!" 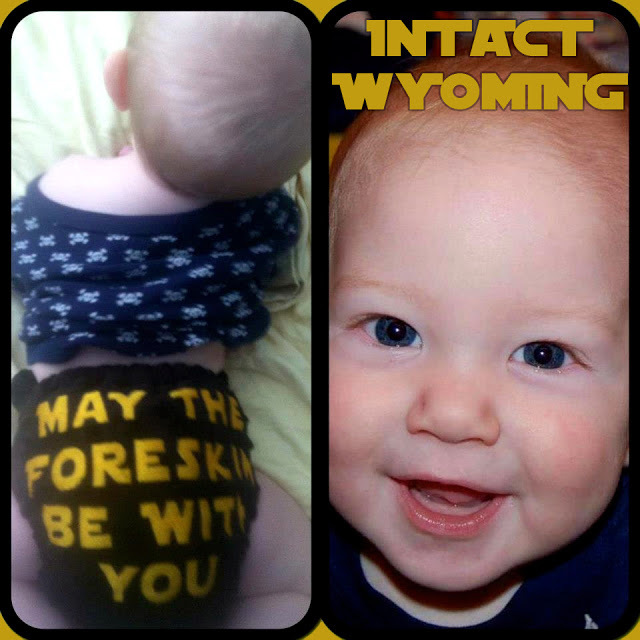 Christina's cutie, of Intact Iowa, plays in the May 4th sun in his Rumpkinz May the foreskin be with you cloth custom! "I tried snapping a picture while my son was awake, but this little guy is a mover and a shaker, so I had to wait until he passed out. 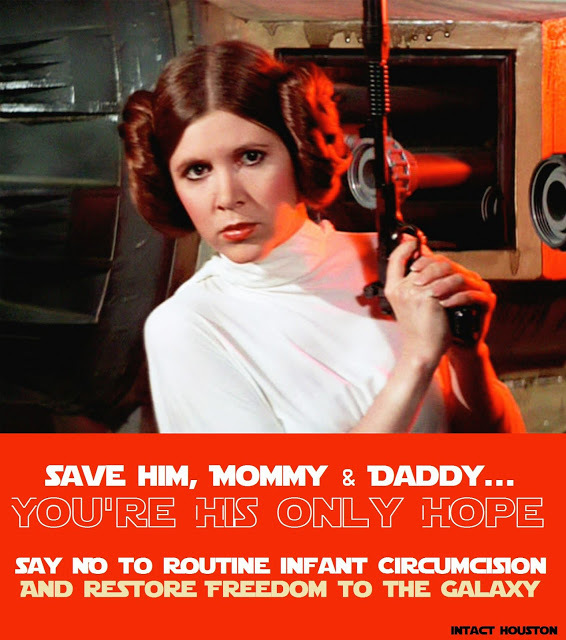 May the foreskin be with you!" Made By Momma tee sported by Jess at Intact Michigan today. "May the Fourth be with you. And enjoy the Revenge of the Fifth!" Wishing you a Happy Fourth of May!